Today we are on the search to find the best Halal Certified wines; yes, they do exist and yes, they do actually taste good. For those that don’t know, the word "Halal" simply means permissible in Arabic, and can be applied to any food or beverage. Halal food has been prepared according to Islamic law, and is free from pork products, alcohol and certain other ingredients. The original reason for Halal was to serve the national and international Muslim communities in meeting their religious compliance. Now, Halal is for everyone. Halal Certification itself is a bit more of a process. All of the Halal Certified Wines we’re recommending have been certified by The Halal Institute. There are a variety of Islamic groups involved in the Halal certification process, as companies offer and pay fees for their products to be inspected and potentially certified. If these products pass regulations, they’re able to carry the Halal label of certification, marking them completely permissible for Muslim consumption. Muslim or not, Halal Certification guarantees a stamp of safety and superior quality in food and beverage products. Certification is a great step for non-alcoholic wine because it guarantees non-alcoholic compliance for individuals that do not drink alcohol. Pregnant and nursing women, those with an alcohol allergy, and Muslim customers can feel completely comfortable when consuming non-alcoholic wine with the Halal label. So What Is the Best Halal Certified Wine? Short answer is, it depends. There are different types of wines for different occasions. For example, many people like sparkling wines for celebrations and red wines to pair with savory, rich meals. We’ve chosen our top picks based on the following types: red, white, rose, and sparkling. It's very good if you are looking for intense flavors of ripened red fruits. You can detect hints of spices and oak. It's bold, complex, and full-bodied. Close to Red #1 but it is less full-bodied. Lighter on the palate, but still fruity and fragrant. If you're going for something less rich, go for this. This wine manages to be light and fresh yet very aromatic. Good intensity of flavor, especially for a white wine. Close to White #1 but it's not as easy to drink. Perhaps it's the greater complexity which detracts from the light freshness of #1. It has floral and fruit aromas, in particular, mango and melon. There is also a hint of smokiness, which some prefer. Great fruit and floral aromas. Slightly sweet finish. Light, elegant, and delicious. Less aromatic than #1 - it is more tart, and has a drier finish. 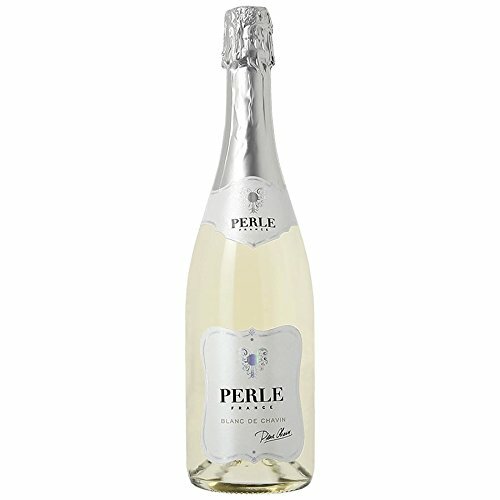 Tastes very good with fruity aromas that are enhanced by its bubbles that help bring out flavors. Produced with the same method as Bruts and is a must try. It comes as a close second. Very light, fresh, and aromatic. We love non-alcoholic bubbly because the bubbles help bring out flavor. Must have alternative to champagne. We wanted to provide only top 2 picks, but we had to throw this one in. The sweetest of all the non-alcoholic wines we tried, but not overly sweet. It gives off fruity floral notes. Good if you're in the mood for something bubbly and sweeter than our other picks. At the end of the day, what tastes delicious can be pretty subjective. We suggest trying different wines depending on the type you’re interested in and see what you prefer. So What Exactly is Non-Alcoholic Wine? Non-alcoholic wine was actually first patented in 1908. However, the alcohol content of those products, and many products available on the market today, still hovered at about 0.5% alcohol by volume, prohibiting Muslims from enjoying the wine. It wasn’t until more recently, through the use of modern technologies, that wines were finally able to be dealcoholized to 0.0% or less than 0.05% alcohol by volume. This innovation is what allows non-alcoholic wines to become Halal Certified. So for skeptics out there, non-alcoholic wine is not “just grape juice”. Wineries still produce the wine in a traditional way, which enhances flavor; however, there is the added step of dealcoholizing the wine. Scientific studies show that non-alcoholic red wine is good for the heart. See our article Cardiovascular Benefits of Drinking Non-Alcoholic Red Wine. Non-alcoholic wines are a sophisticated alternative to drinking soda and juice which are often overly sweet. Non-alcoholic wines are a fantastic way to make celebrations feel all the more special for both you and your guests. About the Wine. Our top pick for Halal Certified red wine, this French blend of Merlot and Cabernet Sauvignon grapes does not disappoint. Grande Reserve Rouge has intense flavors of ripened fruit and hints of spices and oak. This Halal red wine pairs best with main courses, stews, and other rich meals. The wine was produced using traditional methods, aged in oak barrels, after which alcohol is removed. This process ensures bold flavors and complexity. About the Wine. Our second choice for Halal Certified red wine, this Spanish blend of Tempranillo and Cabernet Sauvignon grapes is less full-bodied than Grande Reserve Rouge. Because it is lighter, we think this wine is better suited for everyday consumption. Don't be deceived though, lighter does not mean it lacks flavor. You will still notice a fruity aroma with hints of ripened red fruits. It is slightly sweet, balanced with hints of oak. About the Wine. Our top choice for Halal Certified white wines, this Spanish wine features Airen grapes. Light and pleasant to drink yet manages to carry intensity of flavor with hints of citrus. Pair with light meals or drink alone. This wine is produced through a method known as vacuum distillation at a low temperature, the most traditional and least aggressive method of dealcoholization. Through this sophisticated method, the wine preserves complex flavor. About the Wine. Our second pick for Halal Certified white wines, this wine features Albarino and Airen grapes. Close to Senorio de la Tautila Blanco, this wine has greater complexity of flavor which somewhat detracts from the light freshness exhibited by our #1 pick. It has floral and fruit aromas, in particular, mango and melon. There is also a hint of smokiness, which some prefer. About the Wine. Our top choice for Halal Certified rose wines, this French wine is produced from Chardonnay grapes. The wine has a notably beautiful rose color and has intense floral and fruit aromas. With its slightly sweet finish, this light yet sophisticated wine goes well with desserts and counterbalances sweet desserts. About the Wine. 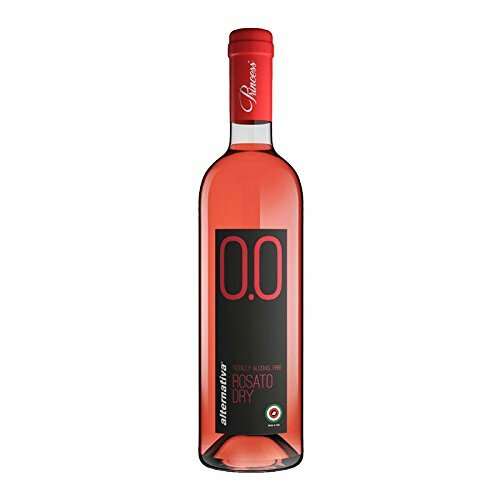 Our second pick for Halal Certified rose wines comes from Italy. It is less aromatic than Domaines Pierre Chavin Zero Rose, but still quite good. If you're interested in a tarter, drier finish in your rose wine, than this is a good option. As with our other Halal Certified wines, Princess Rosato Dry goes through traditional winemaking after which the product is dealcoholized. About the Wine. Our top pick for Halal Certified sparkling wines, this Spanish wine is made from Tempranillo grapes. Bubbly works very well for non-alcoholic wines because they help enhance the flavor, not to mention, they are inherently fun. Pairs well with light soups, salads, and broths. This non-alcoholic sparkling wine was made using the brut method and can standalone as a fantastic champagne, cava, or brut alternative. About the Wine. A very close second for Halal Certified sparkling wines, this French wine was produced from a Chardonnay grape blend. It's light, fresh, and aromatic. You'll find the delicate bubbles bring out the fruitiness of the wine. Drink by itself during special occasions or with light meals. About the Wine. Our final recommendation for Halal Certified sparkling wines is an Italian wine. We wanted to provide only top 2 picks, but we had to throw this unique product in. It is the sweetest of all the non-alcoholic wines we tried but definitely not as sweet as non-alcoholic cider. It displays fruity floral notes and is good if you're in the mood for something sweeter than most. The bubbles are fun and bring out the flavor of the wine, which has floral aromas with hints of honey. It pairs well with desserts and can be considered an alternative to dessert wine. Domaines Pierre Chavin was founded in the South of France by Mathilde Boulachin and Fabien Gross. Pierre Chavin is first and foremost the result of an intense passion and a dream come true by the founders. Pierre Chavin’s range of still and sparkling wines with 0.0% alcohol is rich, elegant, full of flavor and unique. The non-alcoholic collection is making waves in France and throughout the world. The winery is constantly seeking new designs and has earned number one rank of the alcohol-free market in France and many countries abroad. 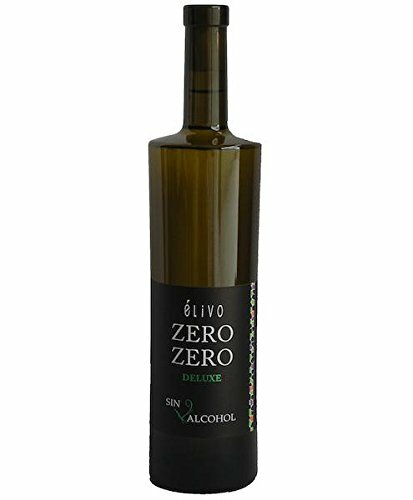 Elivo is a Spanish winery that prides itself on conserving all the goodness of wine and while eliminating the drawbacks associated with the consumption of alcohol. ÉLIVO's wines are aimed at an audience which is more and more concerned with their health that does not want to forego the pleasure of tasting a good wine, or of sharing the culture and ritual associated with this product which has thousands of years of tradition. Dealcoholization is carried out through a pressure system at low temperatures, where high pressure and a temperature of 30ºC are combined to convert the ethanol into vapor. The vapors are removed by a gas extractor and the rest of the wine remains in a liquid state without ethanol. Finally the product is filtered and bottled. Senorio de la Tautila is a Spanish winery founded by Manuel Sales Ros in 1978. Its non-alcoholic wines are the result of many selections, trials, and adjustments supervised by leading tasting professionals. Their flavor, bouquet, and texture are very similar to the wine of origin, except for the absence of alcohol. The results are fruity wines with pleasant bouquets and lighter textures and tastes than wines with alcohol. Today, with the help of trusted Halal certifying organizations, the complex flavor of wine can be enjoyed by all. At the end of the day, you just have to find a wine you love. Taste is, after all, subjective. If you happen to try any of the wines that we mentioned above, please let us know what you think about them. Also, if you feel that there are Halal Certified wines that deserve a spot on our list, shoot us a message and we’ll be sure to give them a try. To see our full list of Halal Certified Wines, click here.